and the heat in the winter gets very hot? Wondering if this is a common problem for Infinitis ? 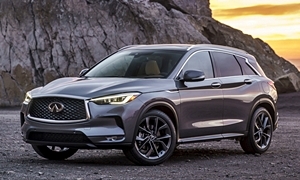 Our QX50 is our seventh Infiniti. The AC and heat are normal and function very well. You may have a defective temp sensor. Warranty will resolve for sure. We got it fixed yesterday, turns out the inside temp sensor was indeed NOT CONNECTED ! Mechanic though I was crazy when I told him to check calibrations and sensors. So they fully evac'd and filled the AC system before they found the sensor. Cold as ice now! Heat should not kill us in the winter, it was very annoying.